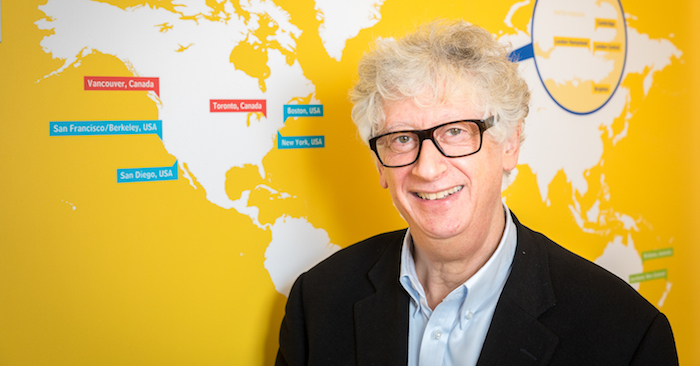 With a long history in the language learning industry, Language Studies International’s CEO David Immanuel, has grown the brand to 14 schools around the world. He tells The PIE he expects more consolidation in the language market, and how general English is certainly not dead. The PIE: There’s a lot of private equity investment in the language school space at the moment. Is there a reason you’ve tried to stay away from this at LSI? "When it comes to it, people’s budgets usually mean that they usually book a language course"
DI: It’s partly because of personality! I’ve always wanted to be independent, and I didn’t need their investment. I was able to expand on our own through a strong cash flow over the last 47 years. LSI was the first UK-based [language teaching] company to go to the States over 30 years ago, we opened there in 1979; I believe I was the first who went to open in Canada, and then the same in Australia and in New Zealand. So I didn’t need private equity finance to finance me to do that. You’ll find that most of those private equity companies come in and buy a single school or a small group and they simply take it international. I can understand why people would think that I was a bit old fashioned, you know. Of course I can understand that had we started five years ago, 10 years ago even, then the way to have gone was private equity because things have to move faster today and it costs much more to open a school today than it did 30 years ago. But I already had the centres by the time the education space became fashionable to private equity people. The PIE: How many language schools do you have now? And how has it changed since you started in 1970? DI: We have 14 schools. And of course I also have the prep school. We started with two schools in London and Paris, and I’ve gradually built it up – the next one came in Germany, but you could say that my first serious language school was Berkeley in 1979. When we organised the school, we modelled it on the Berlitz style of one to one teaching of foreign languages and we did quite well during the 70s, but then gradually English took over and for us the foreign language business in the UK shrank. We still do teach some foreign languages to a few companies but it’s a very minor, minor part of it now. And if you had said to me then I would have been doing it 46 years later, I’d have been shocked. The PIE: You recently acquired LTC. Is finding schools and acquiring them now is that part of your strategy for expansion? DI: Well it’s slightly opportunistic, and the [LTC] Brighton School is ten minutes’ walk from our school. We work with strong individuals – the merger is going well. The London school has closed by agreement, so we have by default inherited some of the business. I would definitely be interested in other opportunities if they came about, not only over here but also in the United States. And I think it’s fair to say that there has to be some consolidation in both markets. I’ve heard it said there are a thousand and something schools in the UK. The broker who introduced me to LPC said he thought there was 900, I thought there would be space for 300. But when you look at it private schools, you start talking about 16 plus, fighting over a relatively small market. So there’s certainly room for more consolidation – if it was a choice I would rather be a consolidator than be consolidated. The PIE: We often hear stakeholders say that general English is dead – nobody’s interested in it. But others say English remains their biggest seller. Which is the case for you? DI: Yes, I mean it’s our core business. It’s been our strongest year ever in Canada, New Zealand, Australia, so it’s certainly not dead. There are a number of factors tying together have damaged the market: the finishing of the Saudi scholarships; the downturn of the currency in Brazil, Venezuela, Russia; economic problems, sanctions etc, etc… but there is a market. And new markets are opening up… South America opened up, and then Eastern Europe – there’s Vietnam and there’s the big one, China. If they allow us to come in with language courses, then they’ll be enough for everybody. Who knows? Anyway, I don’t think it’s dead, because it’s still the best way to learn a language. When it comes to it, people’s budgets usually mean that they usually book a language course [rather than language-plus] – from my experience. Having said that, it’s actually not the greatest year for our United States schools. We opened a flagship school at $10m investment, we bought half a floor in a 20 storey in downtown New York. We’ve decided we are sharing the space now with a software training school, and I was just talking to them last night about a co-operation about programmes. I know there is space for that, but I think learning English will remain our core business. The PIE: So you talked about diversification, and lots of other people are trying to diversify through pathways. Is your sixth form college a kind of pathway? DI: The sixth form college is really about pathways, but doing it in the way of A Levels. We may well start foundation programmes from that college next year but if we do it, it will be one that’s recognised by the whole group of universities, rather than running around trying to get one university to recognise it. The PIE: And if that goes well – plans to take that overseas? To the US? Australia? DI: Well probably the first would be to open in Cambridge. But overseas? Interestingly enough, we had a visit from the Education Counsellor to the Canadian High Commission and they came specially to see us at the college and they wanted to point out that A Levels can be a pathway to Canadian universities as well. The PIE: Is geographical spread part of your way of balancing the scales, helping to make up the gap whenever there are losses in the main markets? DI: Sure, geographical spread has helped us. Part of the reason that Canada is doing so much better – and it’s the same in Australia and New Zealand – is the drop in the US. It’s a big factor in those countries that students are able to work. The PIE: Interesting – are there any other markets that you are particularly excited about or you are keeping an eye on? DI: No. We had a partnership in Malta, which has come to an end, so I’m not rushing back into that market. My main aim is to fill up the schools that we have and to make use of what we have in those sites. The PIE: Is that your strategy then, just buying really good locations? DI: Well, it wasn’t a thirty year plan but it has worked out like that – I think it has given us certain strength to ride the ups and downs of this business. It has shown itself to be a very volatile business. There was an email actually sent out by the chair of English USA, reminding schools: we’ve always advised you to keep very good cash balances because of the volatility of this market. And I would agree. I wouldn’t want to be running a language school in the centre of a large city paying office market rents and using a bank loan to run the business. I wouldn’t want to be in that position right now. The PIE: You’ve such an incredible history in this industry. Where do you think it’s headed? DI: It is possible that it would be a smaller market in time. Unless the Chinese market opens up for straightforward language courses, that would give another boost to it. If you’re asking me, in years ahead, the market will still have room for a reasonable number of players, but they’ve got to be realistic. That’s one of the reasons why I’ve been interested in diversifying and we have some very good international student marketing skills within language schools, not just LSI. There are those who’ve been much more foresighted in that. Mind you, they’ve put a lot of capital into it and bought up various things. My preference is generally to start it up myself first, opportunities arise like LTC – so of course, why not? Good read. Does LSI own exclusively all the 14 language schools or are some (most) franchised schools? If that’s the case then it explains why he’s not needed capital to expand! He’s not actually funded the investments himself. Agree that the market is consolidating so diversification by product and market and innovation will ensure growth. My opinion: The big mistake that some English schools are doing is to target some countries with their scholarships. My recommendation: North Africa is a best market especially Algeria where I am from.